This post was published more than three years ago and has proved to be even more relevant three years later, with the Obama administration's continuing refusal to call the Islamic Jihadist terrorist attacks for what they are, as seen in the recent murderous Islamic terrorist attack at the "Pulse Orlando" night club in Orlando, FL, killing 49 and injuring 53. Here is the post as originally published with no edits. Whenever there is a violent attack or attempt at an attack on Americans by Islamic jihadists, this president always cautions the American people to not rush to judgement. I guess you can't really criticize that but the problem is the final judgement by this administration, when it is an Islamic terrorist attack, never comes. There are times when President Obama reluctantly does call a terrorist attack a terrorist attack but he never mentions the words radical Muslims or Islamic or Jihad in connection with those attacks. 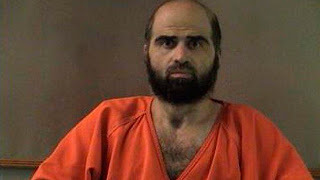 On November 5, 2009 thirteen people [soldiers] were killed, including a pregnant soldier, and 32 others injured in a terrorist rampage by Major Nidal Hasan, at the Ft. Hood Army base in Killeen, Texas. 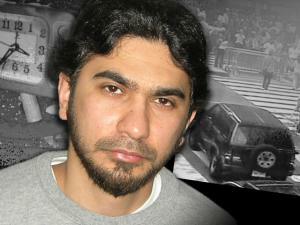 There was clear evidence that Hasan was in communication with al Qaeda leader Anwar al-Awlaki prior to the attack. 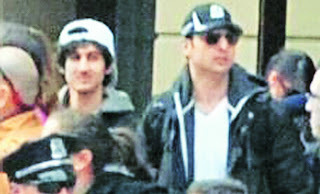 Also, witnesses to the terrorist attack said that Hasan was yelling "Allahu Akbar" as he was shooting these heroes. Despite all the clear evidence to any rational person [or any patriot of this country] that this was a terrorist attack by a radical Muslim terrorist, to this day it has not only not been called an Islamic terrorist attack, it hasn't even been called a terrorist attack at all. The official designation by this administration to this day is that this was an "act of workplace violence". The Muslim terrorist Hasan has yet to be tried. On May 1, 2010 Faisal Shahzad a 30-year-old Pakistan-born resident of Bridgeport, Connecticut attempted a car bombing at Times Square in New York City. Shahzad told interrogators that he was "inspired by" the radical Islamic Jihadist and Al Qaeda leader Anwar-Al-Alwaki to take up the cause of al-Qaeda. In spite of that admission, while the administration did admit Shahzad was a terrorist, they never called him a radical Muslim terrorist or an Islamic Jihadist. In late November of 2010 a 19 year old Somalian-American, Mohamed Mohamud, 21, attempted to set off a car bomb at an Oregon Christmas tree lighting. 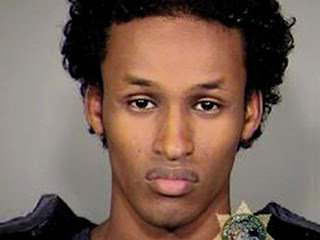 This from The Daily Caller "Holton is the federal prosecutor who announced the arrest of so-called “Christmas tree bomber” Mohamed Osman Mohamud. the announcement made no mention of Mohamud’s Muslim faith." This from the Christian Science Monitor: "Do you remember when 9/11 happened when those people were jumping from skyscrapers...I thought that was awesome',” the teen told the agents, according to court documents." Despite that sickening admission by this jihadist, the Obama administration never has called this a radical Islamic terrorist attempt. It was like the fact that he was a Muslim was just a coincidence. Even when the Obama administration finally grudgingly had to admit that it was an act of terrorism, the word Muslim nor Islam nor Jihad has ever crossed anyone's lips in this administration. On April 15, 2013 two radical Muslim terrorists brothers, Tamerlan and Dzhokhar Tsarnaev, bombed the Boston Marathon killing 3 there and injuring [some with life changing injuries-limbs removed] more than 260. As usual president Obama told Americans not to rush to judgement. The president did acknowledge it was a terrorist attack the following day but neither he nor anyone in his administration has yet to label this as an act of radical Islamic terrorism. If those radical Islamist terrorist attacks and the Obama administrations refusal to call them as such isn't enough evidence for you, the following information from the Daily Caller should end any doubt. From Oct. 21, 2011 This from the Daily Caller: "Obama administration pulls references to Islam from terror training materials" "Deputy U.S. Attorney General James Cole confirmed on Wednesday that the Obama administration was pulling back all training materials used for the law enforcement and national security communities, in order to eliminate all references to Islam that some Muslim groups have claimed are offensive." Unbelievable. America is at war with Islamic jihadists who would love to kill every infidel American and this president doesn't want any evidence in any terrorist training manual that it is these radical Muslims who the United States is at war with. If you don't name the enemy, how can you fight the enemy? The evidence makes it clear that this president hides any connection of radical Islam to terrorism. The question is why? Whatever the reason, this president's unwillingness to name Islamic jihadist terrorist attacks for what they are, makes this president very un-presidential. Any wonder, given your great documentation, as to why we've had more muslim terrorist attacks during this administration than ALL others combined? Because this president refuses to acknowledge the obvious and refuses to follow up on leads for fear of offending his muslim brothers!! Amen brother! Sad to say, but true. Thanks, Michael, for this measured comment. I should probably take lessons from you. LOL!! On the same topic I'd be more strident, but what the heck! 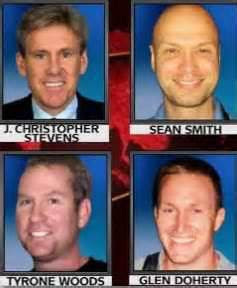 We've got to get the bad guys, bottom line, & Barack Hussein ain't up to the task. Too busy currying favor with the Muslim Brotherhood. I think I'm influenced by Hugh..like we know Obama's a socialist but you just don't say it because it turns off some people you might be able to convince...I guess I'm the same way with my posts... I am probably more in agreement with your harsher view, but don't want to lessen my readership by some people who might think I go to far. I am pretty sure there had been a serious reason behind this case and we should be taking it seriously. There are facts and figures upon which he has been making all the announcements.